So continuing in my journey of spending money on a bike I promised myself I wouldn’t spend money on, just picked up a set of 17" wheels. 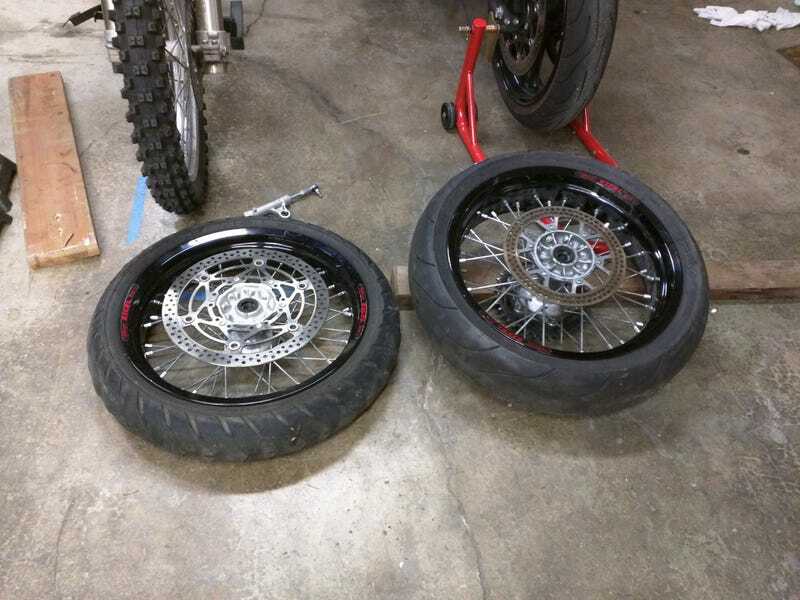 This should allow me to run all the tires from the sport bikes that aren’t made in the stock 18"/21" wheel sizes. I can’t wait to get these mounted with some decent rubber. Plus I think she’ll look good with a 25% smaller front wheel.